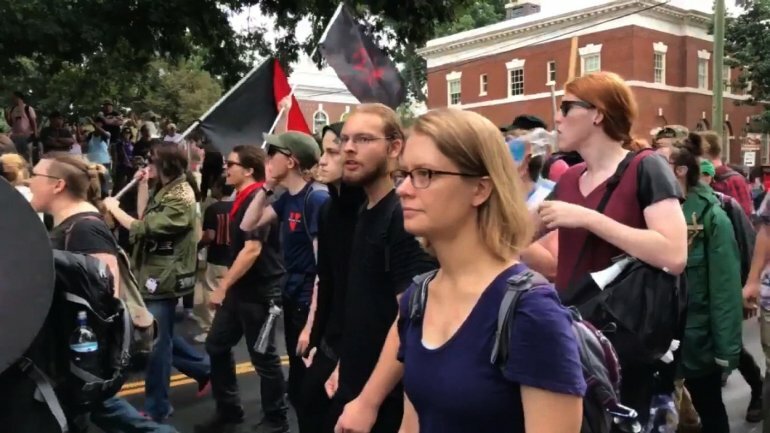 It is best that we, as libertarians, classify under one umbrella the cultural Marxists, the postmodernists, the intersectionality theorists, Antifa and the black bloc anarchists because they all have at their core one important thing in common, an unwillingness to debate and think in logical fashion. For them, and I will call them under the umbrella term, The Anti-Logic Movement, it is all about various class identity struggles. They see truth as relative and reject the idea of a formal logic that exists for all classes. How can one debate with such people, when they reject absolute truth and only think in terms of the illogical notion of class truth? It is best, perhaps, to just leave them alone in their twisted class-conscious world and not interact with them in any important matter and be very careful with them in any type of structural setting in a corporation or a bureaucracy, because from their class dominated thought and anti-logic perspective, they are all about gaining power against those they see as an oppressive class, and they are very keen on using civil structures to gain power and smash what they see as the oppressive classes. And since they do not see the potential for debate and the ironing out of differences but only oppressive classes, for them it is always about gaining power. Put simply, they are trouble. With the white male class, of course, being recognized as the premier target/oppressor. I don't see how we can talk sense into these people. It is best to stay away from them and just let them howl, but when we have the opportunity to prevent them from gaining any type of power slot, be it in the corporate world or in a public organization, we should do so because while we will be decent and fair with them, they will have no such leaning toward us and will attempt to oppress us by any means possible when they gain any power slot. "We"? Do you mean more than one person working together to achieve a common goal? Sounds collectivist. Have you turned into a fascist? On the off chance you are not trolling, you are thoroughly confused. Bob is a libertarian. Libertarians embrace the non-aggression principle - meaning that we reject initiating violence as an ethical way of interacting with other people. It has nothing to do with collectivism. I think you'll see that libertarians couldn't be more different from fascists. St. Paul failed in his proselytizing to the Athenians because he tried to use logic. Hence, Letter to the Athenians. The vocal 10% of these folks are trying to redress some unresolved grievance of and with their fathers. Their politics is family politics writ large. Their call to fairness is that cry of the 9-year old auditing, composing, then editing a grieving inequity within the family. Socialism, in their minds, is an ethical platform that finally grants permission to speak of past family injustices. These past injustices inform their study. They will be that parent speaking on behalf of the unfair childhood experiences of their fathers or mothers. This is why they defy logic and reason. It is unreasonable and they know it as any economic comment about life. But their conviction dovetails with socialist resentment which gives their hurt an acceptable narrative that they can take to the streets. It's what gives their life meaning. Their behavior is straight out of Alinsky's "Rules for Radicals" and the only thing you can do is keep presenting the absolute truth and attacking their illogical suppositions. It's a mistake to assume "bad logic" is the problem for followers of cultural marxism. Many of these people are very smart and are capable of reasoning logically. Sure, a lot of them do use logical fallacies like anthropomorphising groups as if they are individuals, or "proof by anecdote", but lots of libertarians fall victim to those same fallacies. Logic is applying principles to axioms. Most libertarians start with the NAP as one of their axioms. Cultural (or regular) Marxists often reject any kind of individual ownership of property or cultural attributes. In their mind, only groups can own things. That, coincidentally, makes it easier to take things from people and use the things for "the betterment of the group". Their logic within their axiomatic assumptions may be perfectly valid, however, in libertarians' minds, the axioms are flawed. Although most libertarians reject this, I content most people develop their moral axioms on how people should interact through utilitarianism or religious dogma. So it's "most people (or even "I") would be better off if we started from [NAP, rejection of property, etc]", or "God says we should behave [insert axiom here]." So, IMHO, it's not a failure of logic. It's a failure of choosing a moral axiom that is "workable". I need to read up on Postmodernism in order to find out what it is exactly as Ive been seeing calls including here to oppose it. They don't reject absolute truth but have beliefs that they mistakenly hold to be absolute truth. Their absolute truth is that everything is relative to class and power. When their beliefs are contradicted by logic their response is to relate everything to class and power structures. They have designated classes, those that hold power and the classes that are victimized by the classes that hold power. Once the victim classes are identified the “Anti-Logic Movement” either identify themselves as victims or put themselves up on the pedestal of compassion for the victim classes. Anyone who they do not include in the victim classes or they do not consider to be sufficiently compassionate toward these victim classes they put into a category that is not worthy to show respect and is labeled for contempt. The next step is to hand out labels that justify aggression. It’s okay to “punch a Nazi”. I've been dating a self-described SJW for almost 10 years and I turned her into a libertarian no problem. I'm talking about a social worker who taught harm-reduction classes to homeless transsexual prostitutes in Manhattan, and she is a libertarian. It's not that difficult once you decide to abandon that strategies that fail over and over again. 1) Only bring up politics in a 1 on 1 setting. The biggest fear of every SJW is that they will be the next person the tribe throws into the volcano to make a point. If there is more than 1 of them they will be preoccupied with one upping each other to avoid the volcano. Pick your battles carefully. 2) Stop rolling your eyes at them. There is no amount of dismissal you can communicate to them that will turn them into libertarians. All I hear from libertarians who are exasperated with SJW types is that mocking them hasn't worked, so therefor nothing can work. It's sooo stupid. Knock it off. 3) Embrace their sentiments. You don't have to like them, but they are the lay of the land. Don't waste one second trying to change how they feel about things. You're not going to convince them that people who are gay or black or poor or whatever aren't getting stomped on, so don't bother trying. 4) Offer them a libertarian explanation that confirms their instincts. The thrust of SJW thinking is that there are oppressed people in our society who need help. Don't waste one breath fighting this instinct. Embrace it, then show them that it is the State that is doing the oppressing of the most vulnerable both home and abroad. You cannot reason people out of ideas they were not reasoned into. Libertarians throw up their hands and give up when reason fails, whereas the Left gets busy working on people's feelings. Which approach works? The proof is in the pudding. Most people are not philosophers and are not practiced at systematic thinking. Most people simply have a conglomeration of instincts, sentiments and impressions and make no effort to resolve contradictions among them. Stop whining about it and figure out a way around it. The State is busy murdering people while we're all standing around patting each other on the back for being so logical. "Offer them a libertarian explanation that confirms their instincts." I've used this many times. Usually it takes is a certain wording that does not change the meaning and left leaning people suddenly agree entirely with the libertarian assessment even if they don't know it is libertarian. Indeed, Donxon. I don't think that the "cultural Marxists, the postmodernists, the intersectionality theorists, Antifa and the black bloc anarchists" have a monopoly on anti-logic. Anti-logic is the defining element of statism. The aforementioned folks may be the most vocal anti-logicians, but in the background the regular state (supported by statists) continues its many-years war on logic. 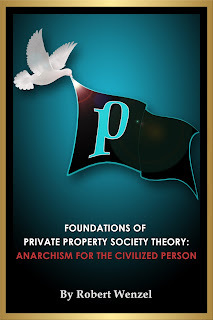 Statism recognizes self-ownership and private property for some purposes but not others. It is irreconcilable with logic. When confronted with someone who wants to cheerlead for transsexuals, talk to them about self-ownership, don't fight with them about gender. Making these suggestions is important because we need solutions. I think what will be the most productive directions you included is “don’t fight”. Or at least try not to. It seems like all of your points are strategies to avoid a fight and emotions to the extent that is possible. As you said, “Most people are not … practiced at systematic thinking.” When talking with most about significant issues you are swimming in their ocean of emotions. It’s easier to swim in calm seas. I have found it best to start off as un-confrontational as possible, asking questions to understand their positions and more importantly their solutions. If I have listened to their point of view they are willing to let me tell mine; some actually hear it. Now we are having a conversation and I can become more and more confrontational while evoking minimal emotions from my counter parts. This can be difficult. I have had to discipline myself not to be confrontational. Sometimes I have to hold back when I know contradicting facts to keep the waters calm and then try to remember to bring those facts up later when I feel like they will not cause an emotional storm that turns the conversation or a good argument into a fight. To contradict myself a bit, I had a pretty good conversation with a small group from Green Peace after the first thing I said to them was calling them watermelons. It all depends on the individuals. These were college aged people outside a grocery store with signs and literature. They were prepared to make their arguments and be confronted. I often wonder if we need to distinguish between the malleable young and "set in my ways" adults. 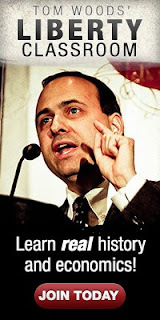 I agree with Donxon that "You cannot reason people out of ideas they were not reasoned into." Thus it may be quite hard (though obviously not impossible) to convince a statist adult of the elegant logic and peace-and-prosperity-enhancing features of libertarianism, and some of Donxon's ideas may be useful here. But if one can get to high schoolers and college kids early enough, we may be able to influence their reasoning in our favor. Thus endeavors like Connor Boyack's "The Tuttle Twins," the Mises Institute's annual Mises University seminar, the Ron Paul Home School Curriculum, etc. are all very compelling ideas. We need to turn the young towards those things before they get swept up in the Anti-Logic Movement. Their minds are booby-trapped. I hear far too many libertarians, especially those of the "curmudgeonly old man flavor," pouting and whining about the booby-traps rather than figuring out how to disable them. It can be done. I have done it. Maybe not so much the "anti-logic movement" as the "anti-humor movement." Mises was here first. He called the Anti-Logic Movement - polylogists.